Oscar Dela Hoya Golden Boy Promotions signs a multiyear contract the top prospect from the Philippines Romero Duno. Duno with a record of 13W(12KO)-1L is a Filipino boxer from Cotabato City, Maguindanao, Philippines. He is a hard-hitting boxer, intelligent and dedicated boxer. Only 21 years of age and very responsible in his training. 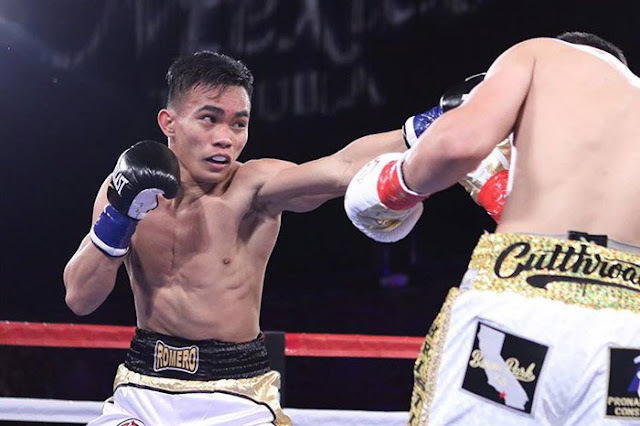 Last March 10, 2017, Romero Duno won the vacant WBC Youth Intercontinental lightweight title against the former undefeated prospect Christian Gonzalez via 2nd round KO. It was a stunning KO and Golden Boy promotions see the potential of the Filipino prospect. Now, Romero Duno is one of the most promising boxers in the Philippines and people can't wait to see him fighting again. Mercito Gesta and Romero Duno are both Filipino that is now handled by Golden Boy Promotions.